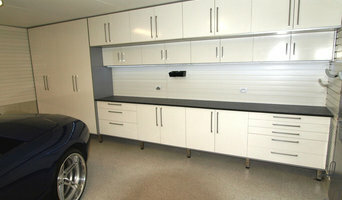 The Garage Organisers are experts in designing and installing Garage Storage Products. We have been changing people’s life styles for the past ten years and are now on some of our past clients third garage makeover. We design your Garage Storage solution with Custom Garage Cabinets, Garage Floors, Organisable Garage Wall Storage Systems and Cabinets and Racks for your Garage Ceiling. We can turn your garage into another liveable room for your house which will increase the value of your home’s over all selling price and instantly give you peace of mind. The Future of Storage is in the garage, let us help you find those organisable spaces and get it all off the floor today safely stored away far from damage and clutter. We specialise in high quality custom cabinetry for residential and commercial projects, as well as renovations, shop-fitting, furniture and all other facets of joinery. The Pro-Design philosophy is to give our customer the very highest level of service, to build a trusting relationship upon which their visions and ideas can become a reality. Our extensive client base is built on a solid reputation for delivering outstanding design, expert craftsmanship, affordability, together with personalised service that’s second to none. Artistry in Cabinets is a specialist in custom Joinery. The company can build and design anything its clients desire, from a small vanity to a whole house full of joinery. Operating between Byron Bay and Brisbane, as well as in surrounding areas, Artistry in Cabinets builds about 100 kitchens each year. Artistry in Cabinets was founded by Darrin Davies in 2009 with a purpose to create quality joinery in homes across Queensland. The company prides itself on the core values of honesty, integrity and customer service that is second-to-none. With a vision to make the renovation process flow as smoothly as possible, Artistry in Cabinets ensures a positive experience for all of its clients. The company works closely with homeowners, builders, architects and designers to achieve the best possible result. Crest Building & Joinery is the complete Building Company. Family owned and operated since 1978. Renovations, new homes, Using the latest in high tech machinery and computer software we work with you to create your ideal living space. 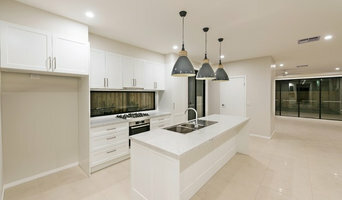 A Qld Building licence and Southport factory to build detailed architectural cabinets, kitchens, bathrooms and furniture. We work closely with your architect or builder with only fully qualified tradesmen. We are a bespoke Kitchen & Joinery company who offer our clients a personalised experience which allows us to create the space you had envisaged. We enjoy all aspects of creating your dream space and particularly enjoy challenging projects. Located on the Gold Coast we service a large area from Brisbane to The Scenic Rim and across the NSW boarder. Our timber craftsmanship can be tailored to suit any kitchen, bathroom, style or budget. From manufacture to installation, Custom Built Interiors will deliver your unique project right down to the fine details. All our timber is FSC Certified and finished via our inhouse polishing service in a range of high quality finishes. We’ll help you make a real impression and add value to your home. Cuisine opened in 1983 in New South Wales and subsequently moved to the new factory on the Gold Coast in 1992. Cuisine offer a complete home solution including: Kitchens Bathrooms Laundries Wardrobes Outdoor Kitchens Media Units Office Fit-outs Situated in one of the Gold Coasts most modern Industrial Estates, the Cuisine showroom, design center and factory are open on a daily basis. A visit to our modern fully equipped showroom is an essential part of the design process. 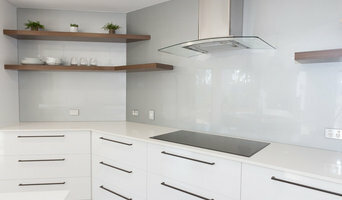 Our fully trained staff will demonstrate the various items of hardware that go into the construction of a new kitchen. We are able to illustrate the full range of materials available for doors, bench tops, kick boards, splash backs and handles. You will be able to touch and feel the different finishes that are available. Catering to all the domestic and commercial markets. The highest quality standards and materials are used. We focus on Ingenuity in our designs. Specializing in custom French provincial, classic, federation, colonial, American style and Hampton style kitchens, bathrooms and interior cabinetry. Joinery and cabinet makers are mostly known for their work in kitchens and bathrooms, but their skill set goes much further than that. It is important to understand the difference between carpenters and cabinet makers, which lies in the detail of work. Carpenters tend to work on larger structural projects and this is why many become builders, whereas cabinet makers are masters when it comes to the finer detail. So if you’re looking for detailed woodwork like custom-made furniture for your living room or smart storage solutions, you’ll be sure to find a Palm Beach, Queensland cabinetry expert in the Houzz directory of professionals. 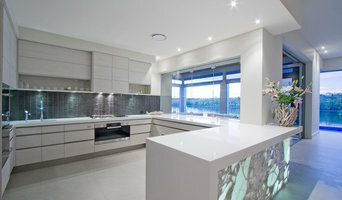 What Do Palm Beach, Queensland Joinery and Cabinet Makers Do? If you know what you want and are ready to take the next step, scroll through this page to find joinery and cabinet makers in Palm Beach, Queensland. As mentioned, you can browse their latest projects, read reviews and see how other homeowners rate their work, and message them directly. You can also look through Photos to find examples of joinery you like, then contact the professional who worked on them.